Join author Julian Woodford and The Gentle Author of Spitalfields Life for an evening discussing ‘the godfather of Regency London’, Joseph Merceron. 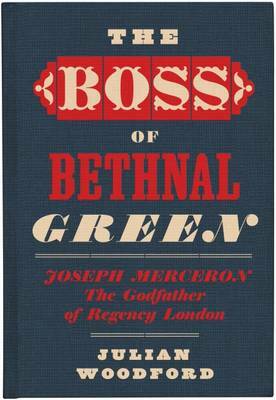 In “The Boss of Bethnal Green” Julian Woodford uncovers the breathtakingly appalling life of Joseph Merceron (1764–1839), gangster and corrupt magistrate, who accumulated enormous wealth while presiding over the creation of the poorest slums in Georgian London. Julian Woodford’s shrewd biography – the first on this subject – is essential reading for all those interested in eighteenth century London, anyone fascinated by the capital’s criminal history and everyone who loves an exciting true story well told.